Flawless copy captivates an audience effortlessly and is the result of planning, research and hard work going into every word. While the importance of content isn’t anything new - we have all heard the phrase "content is king" – today’s top brands work tirelessly to place relevant content in front of viewers. Content must be customized and fluid so that readers can consume meaningful fragments in any order. As inorganic methods of generating traffic, such as Facebook advertising, have become saturated, it's harder to simply 'pay' for people to come to your website. More than ever, brands must invest in good content marketing to rise above the competition. 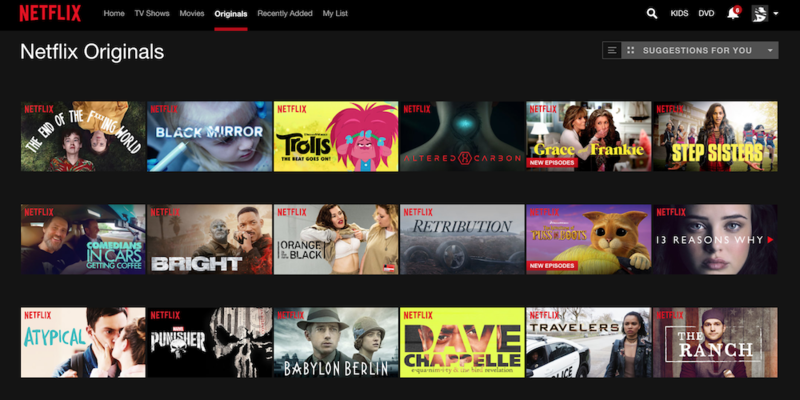 You've seen it before - you log into Netflix, and straight away, the platform greets you with a bunch of brand new recommendations. Or you're browsing on Amazon, and it recommends a few books that complement what you purchased last time. 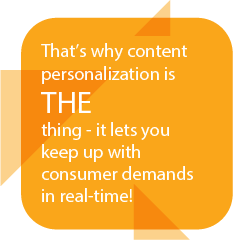 These are examples of personalized content. Back in 2015, technology market researcher Gartner published a statistic that sent waves throughout the marketing world: By 2018, companies that have “fully invested in all types of personalization” will outsell enterprises that have not by 20 percent. As 2017 wraps up, this prediction holds true - recent studies have shown 80% of marketers who employed personalized content to be more effective than marketers using generic content. Each visitor is unique. They visit your website with different intentions and interests. They'll often come from various geographic locations and will have found your website through different means. Some will have come to your site previously - others might be coming for the first time. So with this information in hand, it makes sense to show your visitors content that appeals to them at the right stage of their purchasing journey. After all, how you'd speak to someone who's never heard of your brand before is different to someone who's a regular purchaser. 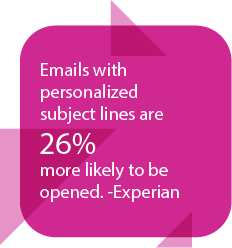 You can start your personalization journey with simple methods that are easy to deploy, such as emails customized to the individual. As your marketing program advances, you can employ sophisticated tools such as Optimizely to segment your audience members and display different web page variants based on who they are or where they are in the buying cycle. Just visiting the Optimizely site tonight I was welcomed with customized “Good Evening” hero copy to optimize my experience in visiting their website. Impactful. By honing in on who goes where, and why they go where they go, you can start personalizing the copy and imagery you use. For example, say you're a brand that sells delivers advice. You realize people tend to come across your company for the first time through your blogs. In this instance, it might make sense to write and design your blogs in a way that encourages people to join your newsletter and put them in a purchasing mindset. By personalizing your content, you'll be talking to people in a way that makes sense to them, increasing your chances of building trust and rapport with them. One of my favorite tools for content marketing is CoSchedule. The best content marketers rigorously track and document their content strategies. CoSchedule is a one-stop-shop for all your content needs, with a full editorial calendar for scheduling your posts, an editor for planning and writing your posts in advance, and automated distribution tools so you can plan months worth of campaign and content posts in one go. Another indispensable tool in my workflow is Buzzsumo. Buzzsumo helps me do all my content marketing research, showing me what the most popular blogs are on any given topic, or who the most popular influencers are. Using this approach allows me to create content I know is more valuable than what's already out there, and then quickly reach out to influencers and generate backlinks to spread my content further. No more tedious Google searching and spreadsheet work! The design works hand-in-hand with content toward heightening a reader’s understanding of the message, influencing how it is perceived. Today, consumers take in brand messaging across various channels, which are increasingly interactive. Multi-channel brand consumption means that design teams must orchestrate in concert around brand content to create captivating visuals using various design principals. Visual communication is now at the intersection of design, media, and technology to include motion graphics and animation, 3D models, illustrations, video production, digital imaging, and graphic design. As companies increasingly devise original content, the design has an important role to play to bring the message to life. After all, you're doing yourself an injustice if you've written high-quality content, yet still stick to imagery that is obviously stock. Of course, stock photography has its place and can be edited using current design trends. So what kind of design trends will we be likely to see in the coming year? We'll also likely see the continued focus on minimalistic designs, geometric shapes, bright-gradient colors and semi-flat aesthetics - design trends focused on usability and are easy on the eyes. With increased efforts on bespoke designs, we're also likely to see a resurgence of hand-drawn graphics and high-quality photography. Storytelling is a centuries-old conduit for the sharing of thoughts, values, and information. When used correctly, brand storytelling draws people in and engages them in fact. At formulate, we passionately believe that unique, carefully curated stories build active, engaged consumers. We celebrate intelligently crafted brand plotlines and embrace clients who are aren’t afraid to think in new ways. In 2018, the art of storytelling is a core competency for C-level executives. They must be able to articulate an impactful vision for audiences, and bring it to life every day. You can’t be an impactful CEO today without being an impactful storyteller. Influencer, Sam Hurley, (Onalytica Interview) discusses how leaders can elevate stories "beyond business-focused material " to truly engage "audiences on a deeper level" through vulnerable, personal storytelling. It really IS personal. You have opportunities now more than ever before. 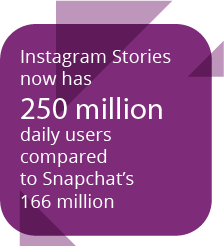 Look at different mediums; Periscope, Blab, Livestreaming, and Instagram Stories are channels of distribution to help you livestream and scale fast. Use the power of storytelling with the immediacy of visual media to bring your company closer to your target audience. Creative implementation of a brand’s promise and qualities are indispensable to creating a distinct and memorable brand. In the Vital Role of Creativity in Branding, Mikul Harris talks about how a good creative firm "will turn convention on its head and scrutinize a brand from every imaginable angle." It's true. By the time messaging seems simple and consumable, it is the result of strategic implementation and creative ingenuity using data, competitive analysis, and A/B testing. Strategic creativity must be used to drive the brand’s mission statement and underlying business goals. Creativity for its sake will not ensure the success of a brand. Perhaps one of the most exciting recent shifts in implementing creative designs is Hubspot’s Growth Driven Design process, or GDD for short. 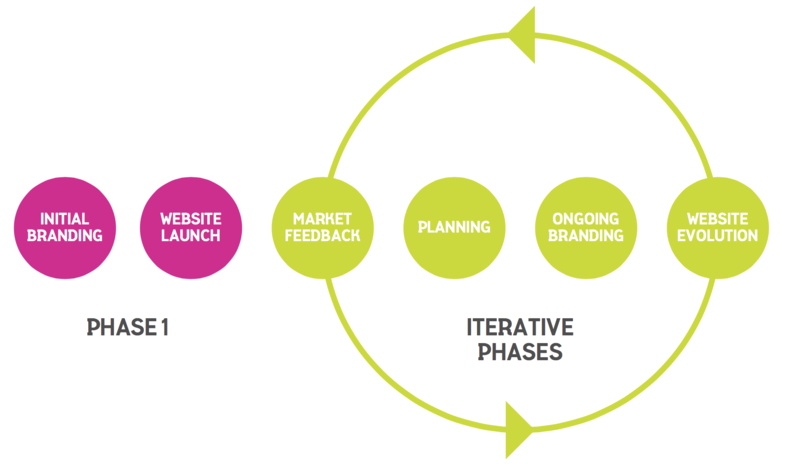 GDD adapts parts of lean and agile processes and mindsets to design and develop business outcome-focused websites. While lean and agile methodologies are nothing new, GDD presents a fundamental shift in the mentality behind how companies approach to web design and development. Traditionally, website redesigns are substantial undertakings, where teams design and build everything quietly under wraps before a grand unveiling 5-6 months later. However, this 'waterfall' style approach often resulted in overblown budgets and missed deadlines - as the project would progress, the scope would often shift, and subsequent changes and second-guesses would result in a domino effect of delays. The other issue with the traditional method was that it is an 'all-in' approach. Stakeholders bet everything on the new redesign (and pay out of the nose for it too). Designers would cram every whiz-bang feature possible into the redesign, even if some of these features were unnecessary. Managers would make decisions based on their own opinions, rather than market research. Then, with the new site live, the project is deemed completed, and neither the company nor the development team would touch the website again until a few years down the track when it's time for another rehaul, regardless of how the site performs in the face of user contact. Instead, GDD encourages pushing sites live as soon as possible, with the goal of getting user feedback early, and using this qualitative and quantitative data to dictate further development. The first version of the redesign, while not necessarily 'rough and dirty,’ would only comprise of the core functions and features the business requires keeping running. These ‘launch pad’ sites are often launched within 30-60 days. With this approach, site redesigns become a process of continuous improvement, instead of one big project. Any features and new ideas that didn't make the first round are added to a wishlist for future development. Rather than hefty payments and grand promises upfront, the business and the website design team work month-by-month, continuously collecting data, prioritizing and implementing features based on user feedback, and learning from new tests. Websites are never 'perfect,’ so GDD is a framework built on this premise. The truth about creativity in the business world is that creativity needs to help the business grow. 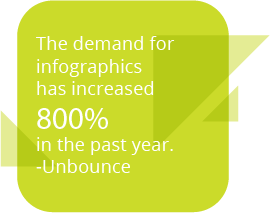 Gorgeous graphic art, or the most out-there experiential marketing ideas, are only useful if users engage in it. Frameworks like GDD and lean push teams to ship creations that are far from perfect, all for the sake of learning faster and becoming more user-centric. To a user, a brand interaction is device-agnostic. People want to flow through the experience between devices. One of the most significant trends to hit UI and UX in the coming year will be consolidation. UX and UI won't be a siloed approach - instead, everyone in the organization will be responsible for creating excellent user experiences. This holistic approach to design, where all stakeholders in the company are involved, will result in more empathetic and consistent designs across the board. In fact, many digital marketing trends will similarly echo in UX and UI design. Experiences will be content focused, with stripped-down, purpose-built designs that enable viewers to consume and understand content distraction free. Personalization will also become increasingly important, where user interfaces will only show relevant contextual information and step-by-step navigation, and anticipatory design to guide users through a linear journey. One trend that has also expected to continue throughout 2018 is the humanization of digital touch-points and user experiences. One example of such is the adoption of Chatbots. It's common knowledge users hate having to wait for support (or anything else, for that matter). Chatbots allow for one-to-one communication with customers in an entirely scalable way. 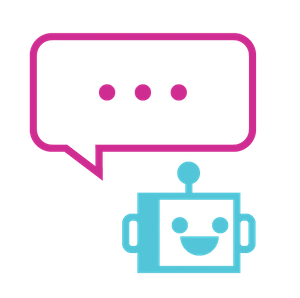 Users can use natural language when chatting with the bot, and with AI technology moving forward in leaps and bounds, users can expect rapid responses back to their queries. These advances in chatbot and AI technology show. Recent research shows 48% of people would rather communicate with a company via a chatbot than any other means. With plenty of chatbot services out there and Facebook slated to launch its messenger for business platform soon, it's never been easier to start a casual conversation with your customers. 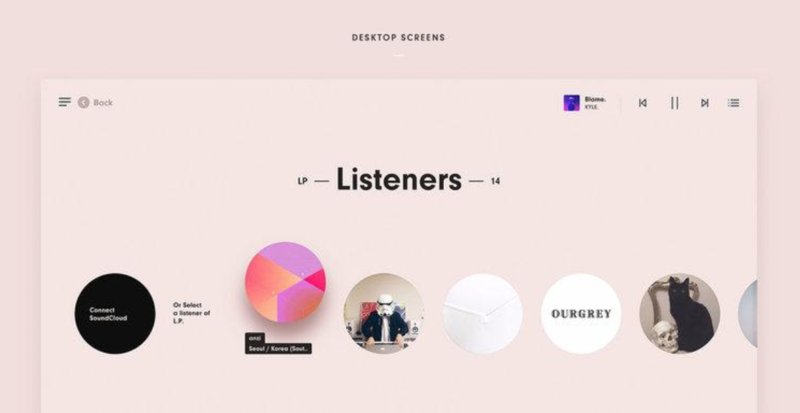 Another UI/UX trend that humanizes digital touch points are micro-interactions. Micro-interactions are contained product moments that revolve around a single use-case. For example, they depict progress, a change in state, or prompt the user. Micro-interactions are the little touches that make a product easy to use, and are only noticeable when they don't exist or go wrong. For example, hands up if you've ever clicked on a button that didn't react when you clicked it, making you unsure whether you clicked it, so you clicked it multiple times, and then everything happens at the same time! Micro-interactions assure users when they're doing the right thing, and nudge users gently when they haven't. Having these prompts and animations allow users to form emotional connections with the products they use, encouraging them to keep using the product, even if they don't realize it. In fact, the interaction itself is mostly invisible because a user has a goal she or he wants to achieve using the most relevant medium. That’s why. Users need experiences that match a context, defined by a user’s current device. Omnichannel UX brings consistency to a multi-device world. We already have a few good examples of omnichannel UX among today’s apps. Uber is one of them. Requesting a ride from Uber can start on an Amazon Echo and end on an iPhone. That’s an excellent example of an experience that crosses two platforms, from two different vendors, with two different interfaces, yet seamless to the user. Entwining both disciplines in promotional efforts best diffuses a brand into the marketplace. New tools to help us manage our social media are launching every day. While even our magic crystal ball can't predict what tools will rise and fall in 2018 (and rising and falling happens a lot! ), we can predict what types of apps will become popular this year. Automation tools are one of the most effective tools a marketer can have in their toolbox. Tedious tasks are a necessary evil, but often their banality is what makes it easy for things to get missed out. Tools such as Zapier and IFTTT hook all kinds of different platforms and automate repetitive tasks. Marketing automation tools, such as Drip, send personalized content to users, with pre-defined triggers to ensure the right content gets delivered to the right person at the right time. Traditionally, we would have to have done all this manually. As AI, offshoring and, automation become the themes of this decade, teams will look for more ways that allow them to run leaner, learn faster, and do what brings them joy. Automation tools give us the leeway to focus on what matters, making us more efficient and effective. We mentioned chatbots earlier as one of the significant trends of the coming year. As machine learning matures and AI technology becomes more palatable (we're not creating Skynet, are we? ), we'll start to see a lot more build-a-chatbot platforms spring up. Like drag-and-drop website builders, we'll likely see different platforms designed for varying levels of technical know-how so anyone will be able to build a chatbot. We'll also see chatbots breaking out from their gimmicky beginnings, turning into products that have a real place with advertising, support, and customer service teams. Companies that secure a first-mover advantage with chatbots will be set to stand out. 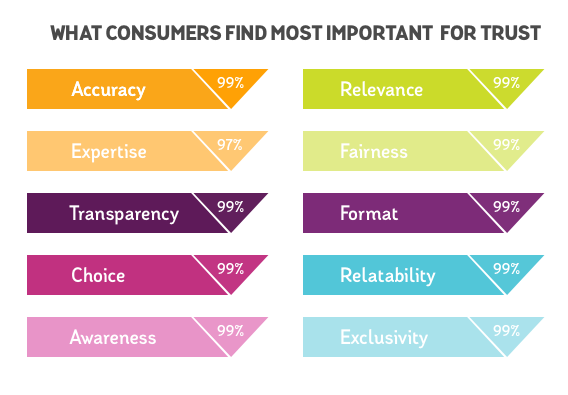 Consumers want fair and actionable data to evaluate brand and product information. A consistently accurate brand strategy, implemented with precision, fosters trust. Accurate brand information promotes trust - and trust builds brand loyalty. People can now upload their likes, comments and user-generated content, whenever they want. People can help make or break reputations of brands and businesses. If you say that your product is simple, it should be. Otherwise, your users will write negative reviews, which will tarnish your reputation. 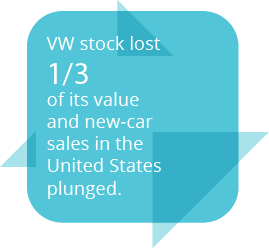 Two years ago Volkswagen stunned consumers by admitting that it had violated U.S. federal and state emission laws by using “cheatware” make exhaust emissions compliant only during the test. Pollutants were as much as 40 times more than the emissions tests found. At formulate, we believe that in today’s media savvy environment, brands need to objectively assess their value proposition and brand messaging. Keep these stats in mind as you and your team consider the best plan of action for 2017--and get prepared with an intelligent strategy. When digital marketing is efficiently executed, your organization benefits...so don’t wait to brainstorm what will work best for the year ahead. Start now.